Opening times Mon, Tue & Thu–Sun noon–10pm. Food served Mon–Sun noon–3pm, 5–10.30pm. Small, stylish restaurant exploring a variety of Chinese cuisines. The fusion here is between China’s varied regional cuisines, with a menu drawing together a wide swathe of recipes from across the country. Many of the dishes are on the fiery side but a handy chilli guide, ranging from mild to super hot, steers diners along the spice road from Shanghai to Sichuan. 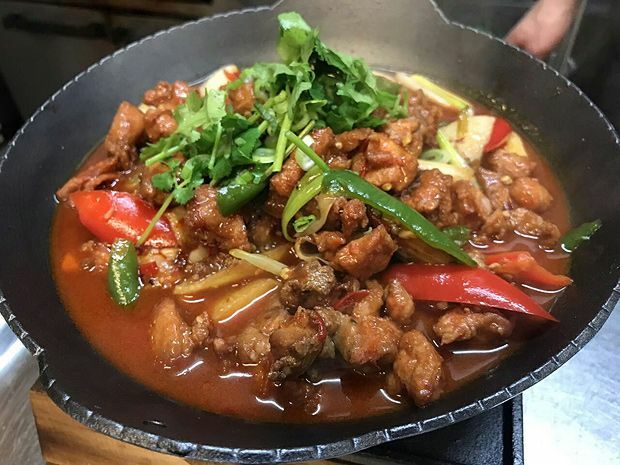 As well as the usual choices of spring rolls, spare ribs and beef in black bean sauce, the more adventurous can try less common dishes such as beef stomach, ox tongue and jellyfish. The result is a menu of bewildering variety, but friendly waiting staff are happy to guide diners through the list. Highlights include crispy king prawns coated with salted duck egg yolk and a rich stew of thinly sliced beef with enoki mushrooms. There’s a good value lunch deal and keep an eye on the specials board for new dishes. With so many options, Fusion Gourmet's fresh, authentic Chinese food is bound to have something to suit the fussiest of diners.